Therefore, it’s easy to see why the lily has been attributed to Mary. Sometimes she is compared to the lily. Other times, she holds a lily in her hand or is depicted in a field of lilies. Mary is called “lilium inter spinas” (lily among thorns) in the Litanies of Loreto (1578) and the Little Office of Our Lady (1617). 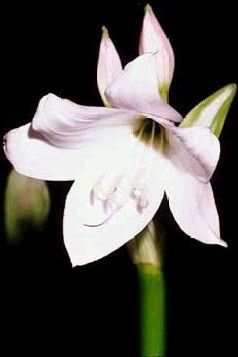 As a symbol of purity and perfect beauty, the lily points to Mary’s Immaculate Conception, which gave her purity, perfect beauty of the soul, and the full endowment of wisdom. I grew up Protestant. After my conversion to the Catholic faith in 1977, I had difficulty relating to Mary. I listened to what was said about her by those who had a genuine devotion to her, but it just didn’t seem real, at least not in my life. I learned to pray the Rosary, but it seemed boring and less meaningful than other prayers I did. After trying and failing for a few years to understand how to have Mary in my life, I gave up and told Jesus that if he wanted me to have a relationship with his mom, he’d have to introduce her to me. A few more years went by. 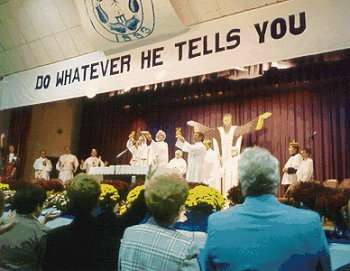 While I was a staff reporter for a Catholic newspaper, a Marian speaker came to my diocese. It was Wayne Weibel, who converted to Catholicism after making a pilgrimage to Medjugorje, and I was assigned to write about his visit. I had already read his book, Medjugorje the Message, and although it wowed me, Mary still seemed foreign and distant. While interviewing the local man who organized Mr. Weibel’s speaking tour, he told me that Our Lady had personally selected me to cover this story. Huh? She picked me? This was not just a decision made by my editor? The Virgin Mary knew I existed and cared about me? What a thought! As I followed Mr. Weibel from church to church for my article, I questioned him, I listened to him, I prayed with him. After an evening presentation in a large church, I watched people come into the sacristy to thank him for his words. Some of them gave him gifts, such as a crucifix and a picture of Mary. Each time, he turned and gave them to me and said, “Your mother wants you to have this.” Really? Wow! Mary was giving me gifts through these people? Still, I did not feel any closer to her. She continued to be a stranger whom I knew things about but whom I did not know as a real mother. That night, before I went to sleep, I again told Jesus that if he wants me to have a relationship with his mother, he’d have to make it happen. I was trying my best, but failing. The next morning, I woke up as a very different person. Don’t ask me how it happened, for I surely don’t know. I awakened with a genuine understanding of who Mary is to me, that she loves me, knows me, cares about me, prays for me, prays with me, and works to accomplish good things for me. She has been dear to me ever since. And the Rosary immediately came alive as a connection between her heart and mine. The Blessed Mother has been in my life more for the sake of the ministry God has called me to (and will in the future call me to) than for my own personal sake. But don’t get me wrong, she has helped me in my personal life more than I know! I have victoriously relied on the Rosary during the most difficult and darkest times in my family, my work, and my friendships. 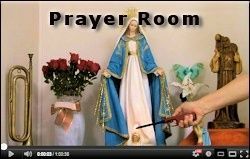 I’m not one to pray the Rosary daily — I have done it that way but I travel in and out of various forms of prayer, using whichever form comes most alive at the various stages of spiritual growth. But it has been a great weapon that I often pull out when battling the forces of evil. What is more important, however, is Mary’s role in my ministry. Although it was in 1989 that I first became aware of having a real relationship with her, not much happened for a while. 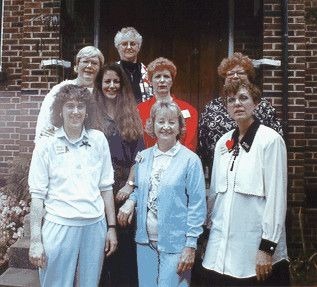 I was already involved in the Marian Center, a small teaching and outreach ministry in Freehold, New Jersey, led by Irene Huber who is now living at home with the Lord. I felt the call to teach there, but Irene (my spiritual mentor for many years) said, “No, not at the Marian Center. You’re being called to something bigger.” I was frustrated, but I knew God had a plan and I needed to wait. 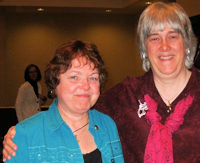 In 1990, I became Adult Education Coordinator for my parish. Sometimes I gave the teachings, sometimes I brought in outside speakers. I was interviewed by the local newspaper and posed for a photograph next to a statue of the Blessed Mother. I liked what I was doing, I was growing in my appreciation of the Rosary, I was promoting the Holy Family as a model for families in the parish, and I knew Mary was pleased, but this was not the “something bigger” that God was going to call me to do. It was only a stepping stone. 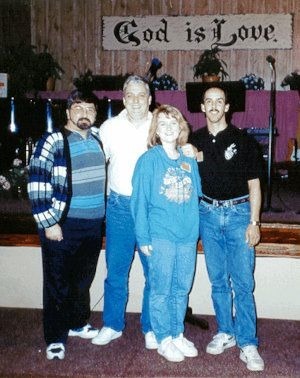 Then in October of 1993, my husband, Ralph, and I attended a Catholic Charismatic weekend conference, which we had not done together for a long time. Note that this was October — the Month of the Holy Rosary! The theme of the conference: “Do Whatever He Tells You” — Mary’s words at the wedding at Cana (see John 2:1-11). But we did not yet realize that she was directing us like she had done with the wine stewards. Through the speakers at the conference, Mary challenged us to do whatever Jesus asked of us. It was a time of saying yes, but we didn’t know what we were saying yes to! We thought it was just more of the same of what we were already doing in our parish. One of the featured speakers was Charlie Osburn, founder of the Good News School of Catholic Lay Evangelization in Pensacola, Florida. He hooked us with his teachings on radical Christian living and reeled us in. The following January (1994), Ralph took a vacation to attend this week-long school with a few friends from the parish. I attended the next session, which was held in March. A few more from the parish went as well. When I observed the changes taking place within me and the other students, I felt a new passion growing. I yearned to be able to serve God through Good News Ministries because of how much the teachings impacted people’s lives. It was making a bigger difference than any programs I had put on at my parish. I begged the Lord to let me get involved, not realizing that this was exactly what he had in mind. When I returned home, I said to Ralph, “Let’s move to Florida!” My idea was to move to Pensacola to join Charlie’s ministry. 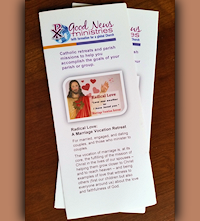 Meanwhile, a few people from the Tampa area (seven hours south of Pensacola in Florida) had been praying the Rosary to ask God to send them laity leaders who could start Good News Ministries where they lived. They had been to Charlie’s school a year earlier and had convinced their pastor of its value. All they lacked was the leadership and teaching skills needed to make it happen. As we researched where to move to, God led us to Brandon, a suburb of Tampa. We moved into our new home on New Year’s Eve and attended our first Mass on the Feast of Mary, Mother of God. Then, a mere 30 days into 1995 (just enough time to get mostly unpacked), Charlie Osburn “happened” to be in town for a speaking engagement. When he saw us, he suggested that we start Good News Ministries here with the people who had been seeking the Blessed Mother’s intercession for it. Before we had even moved into town, Mary had pulled together a core team and a priest ready to support us in starting Good News Ministries of Tampa Bay! 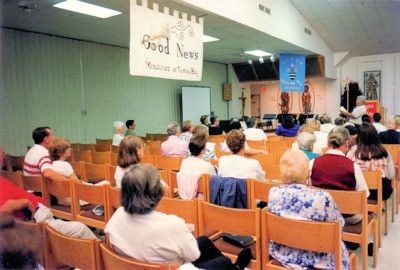 In 1995, we held our first Evangelization School in St. Francis of Assisi Church (Seffner, Florida). Our ministry has grown from that point and place, and as you know, it reaches around the world through its Internet outreach. And Mary continues to show her involvement. In 1996, a friend and I went to the tabernacle at church to pray the Rosary. While we were praying, we both smelled the fragrance of lilies very strongly. I’d occasionally smelled roses while praying the Rosary, but why lilies now? Upon my return home, as I pulled up into the driveway and looked up at the oval window above the garage, the design in it made me gasp. It was an imitation stained-glass decorative window depicting — of all things — a lily! When we bought the house, I had been disappointed that it wasn’t a rose, which would have reminded me of my dear Blessed Mother. But when I researched it, the lily took on a special meaning: One of Mary’s titles is Lily Among Thorns. The lily is a symbol of purity. I, and others who have served in Good News Ministries, are rather thorny at times, scratching others and causing pain. Mary is our Patron Saint who has gathered us around her to do the Lord’s work. 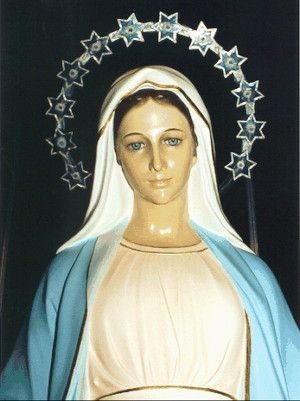 The artist has created many statues of Our Lady, each one unique. Laura has a friend who owns one of them. 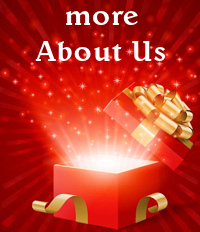 Laura says, “My husband and I mentioned to him, when we saw it in his home, that we wanted to order one. Time passed and little did we know that he had ordered a large quantity, since he wanted to spread devotion to Mary. He offered one to us and gave it to us as a Christmas present, and I immediately asked for more so that Mary could choose other places she’d like to be.” He pays the artist for all of them and will not charge for any that he gives away. And so, now we have the Shrine of Our Lady of Miracles. You can make a virtual visit to it using our meditation video. We’ve produced a Holy Card, too; see our Prayer to the Virgin of Miracles.